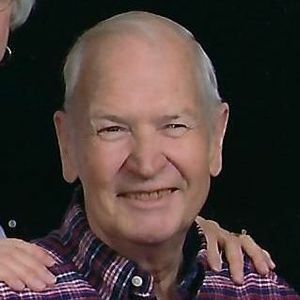 John W. Belda, age 79, passed away on Monday, April 1, 2019 at his home in Sun Prairie. John was born on August 27, 1939 in Madison and was the son of Edmund and Berniece (Runde) Belda. He married Joan Millea on June 6, 1964 at St. Cecelias Cathedral in Omaha, Nebraska in a double wedding with Joan's sister Geri Zilm. John served in the Army Reserves. He worked alongside his father and sister at Belda Real Estate and Insurance. John was a devoted husband to Joan for over 53 years of marriage, and proud father of 6 children and grandfather of 9 children. He is survived by his wife Joan; 6 children, Thomas (Susie), Geri (James) Cheevers, Ellen (Lee) Prosch, Benjamin (Louise), Sara (Derek) Mackey and Rita Belda; 9 grandchildren, Connor, Molly and Nicholas Belda, Allison and Ryan Cheevers, Emily and Elizabeth Prosch, Alexandra and Simon Belda; 2 sisters, Mary (Clem) Batz, Beatrice Pronley and many nieces and nephews. He was preceded in death by his parents; a sister Barbara Young and brothers-in-law William Young and Edward Pronely. A Mass of Christian Burial will be held at 12:00 noon on Friday April 5, 2019, at Sacred Hearts of Jesus and Mary Catholic Church, 227 Columbus St., Sun Prairie, Monsignor Duane Moellenberndt will preside. A visitation will be held on Thursday April 4, 2019 from 4 to 7:00 p.m. at Tuschen-Newcomer Funeral Home, 302 Columbus St. in Sun Prairie where a rosary will be held at 7 p.m. A visitation also will be held from 11:00 a.m. until 11:45 on Friday, April 5, at Tuschen-Newcomer Funeral Home. Burial will be held in Sacred Hearts Cemetery. Memorials can be made to Sacred Hearts School. HE TRULY WAS AN ASSET TO THE CITY AND STATE AND MADE BOTH BETTER PLACES TO BE AND LIVE.. There are so many memories of visits to your place growing up and conversations at family gatherings, and all the kindnesses which you always showed us. I am particularly thankful for the care you and Aunt Joan gave to my Mom, and for the great visit we had at your alma mater, Loras College. My family were deeply impressed by the day care service that the two of you provided for children. You are loved and will be greatly missed. Lots of love to all the Beldas! John Belda, you were an absolute GEM. I will always remember visiting with you during numerous family Gatherings. I do seem to recall that during the last reunion in Omaha you promised me a six pack of Spotted Cow! Sheila and I extend our sincerest condolences to you Joan and your entire Belda family.